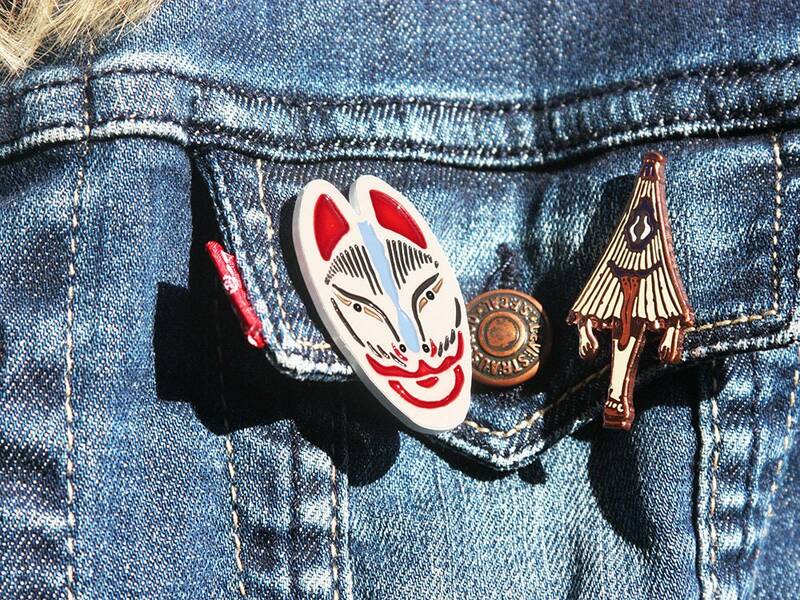 Kitsune is japanese for FOX. 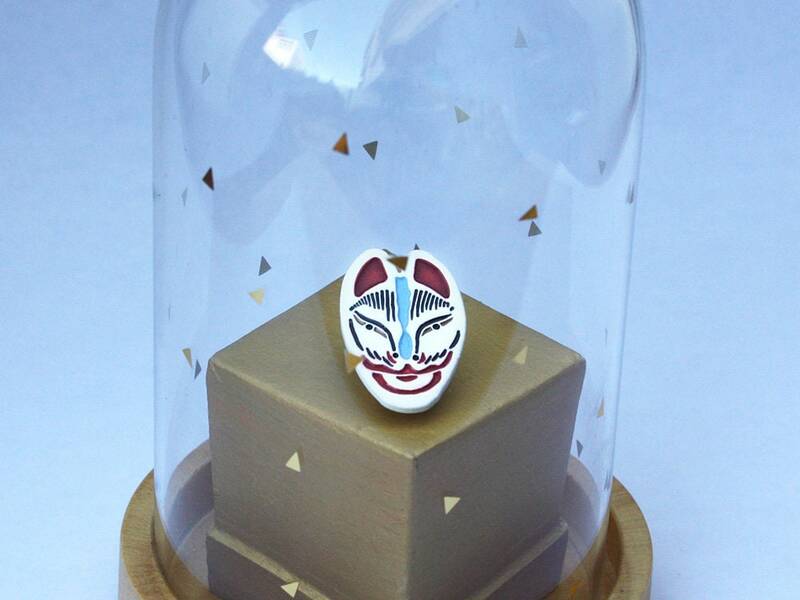 It is a creature from Japanese folklore, a Youkai. Sometimes benevolent, sometimes playful, just like the Tanuki, it has the ability to MORPH into anything it needs (including HUMANS) to achieve its ends. Here is one as a fox, its original shape. 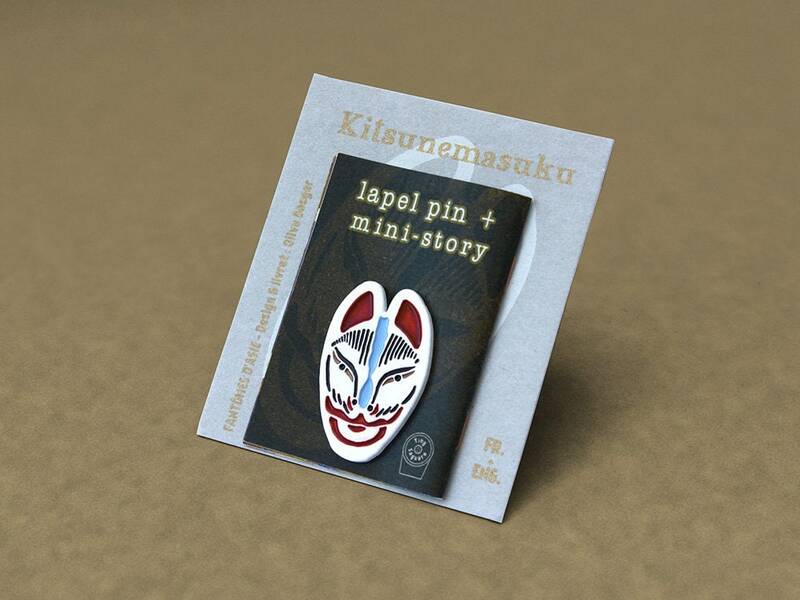 This lapel pin is inspired by the japanese theater masks (No, Kabuki, Kyogen). 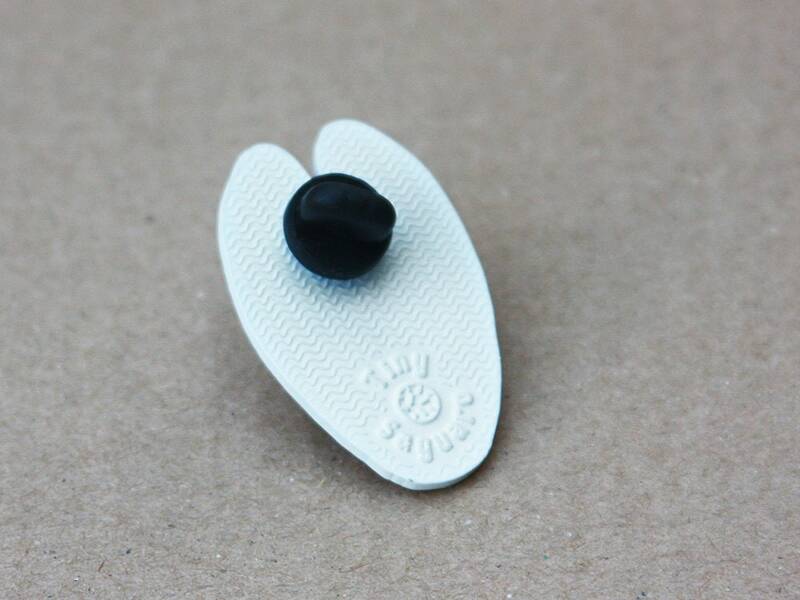 No doubt that it will turn any of your clothes into a refined and original outfit. 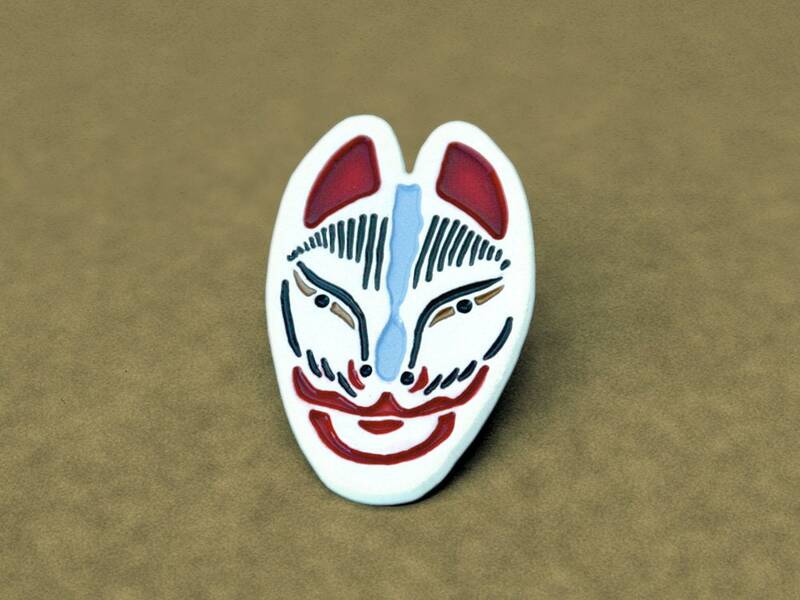 This lapel pin has been made for the "Ghosts and Hells, The underworld in Asian art" exhibition at the Quai Branly-Jacques Chirac Museum in Paris. 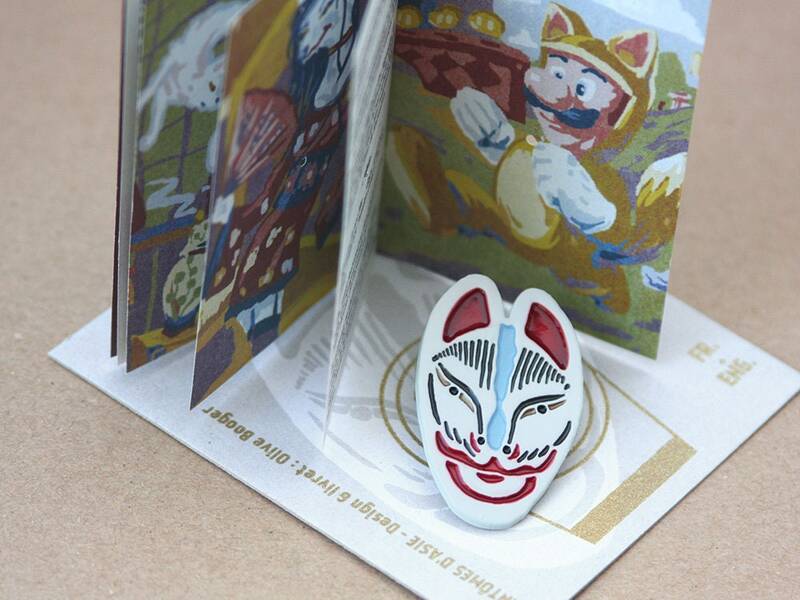 Like all other Tiny Saguaro pins, kitsune's Mask comes along with a 12 pages minicomic (in English and in French). 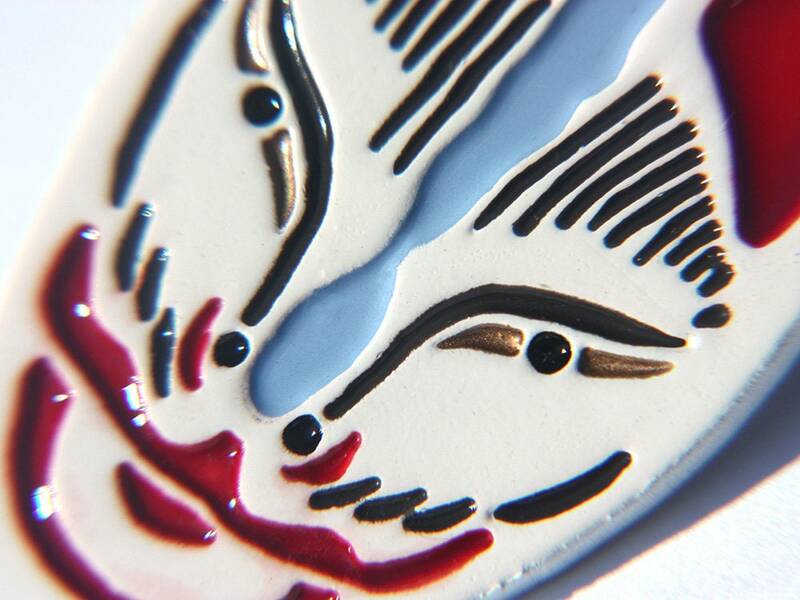 Stories depict them as intelligent beings and as possessing MAGICAL ABILITIES that increase with their age and wisdom. 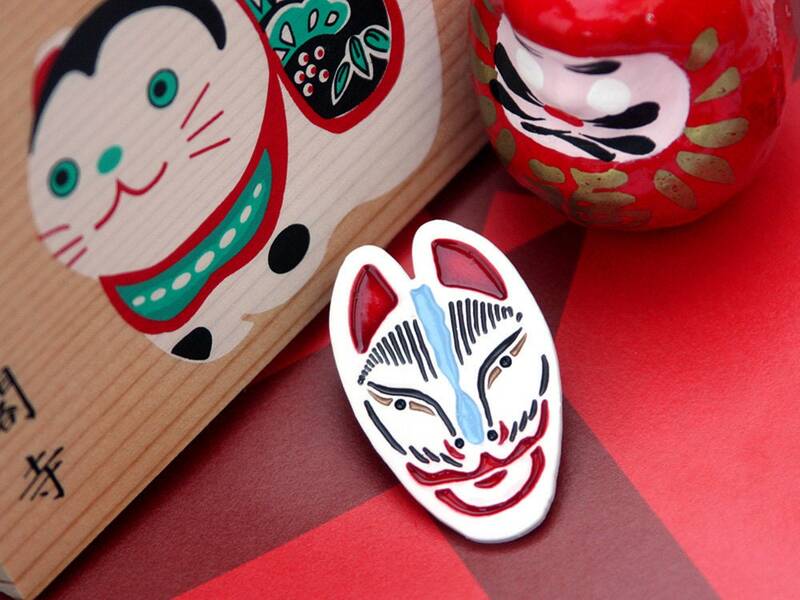 According to Yōkai folklore, all foxes have the ability to shape shift into human form. 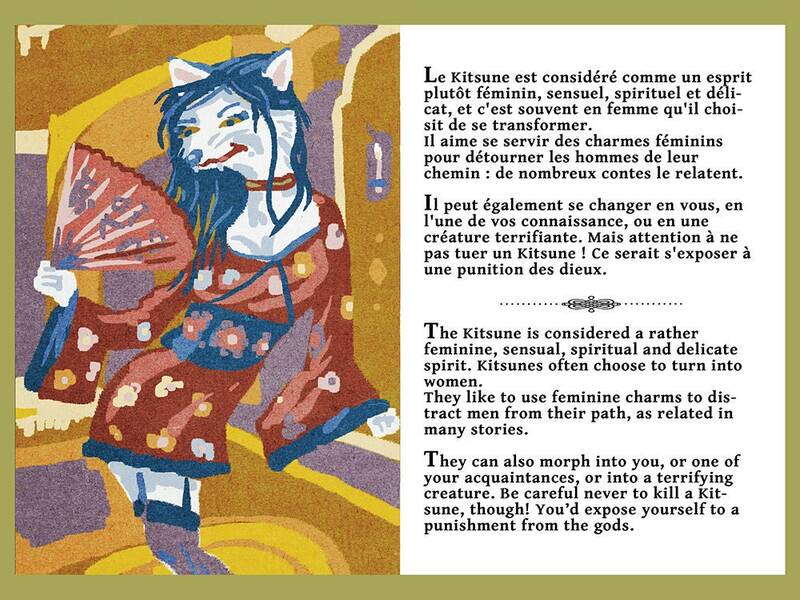 While some folktales speak of kitsune employing this ability to TRICK OTHERS—as foxes in folklore often do—other stories portray them as FAITHFUL GUARDIANS, FRIENDS, LOVERS or WIVES. THE MORE TAILS a kitsune has—they may have as many as nine—the older, wiser, and more powerful it is. Because of their potential power and influence, some people make offerings to them as to a deity. Conversely foxes were often seen as "WITCH ANIMALS", especially during the superstitious Edo period (1603–1867), and were goblins who could not be trusted (similar to some badgers and cats). Envoi rapide,bien emballé.Pin’s original,identique aux photos ,trés bonne qualité. 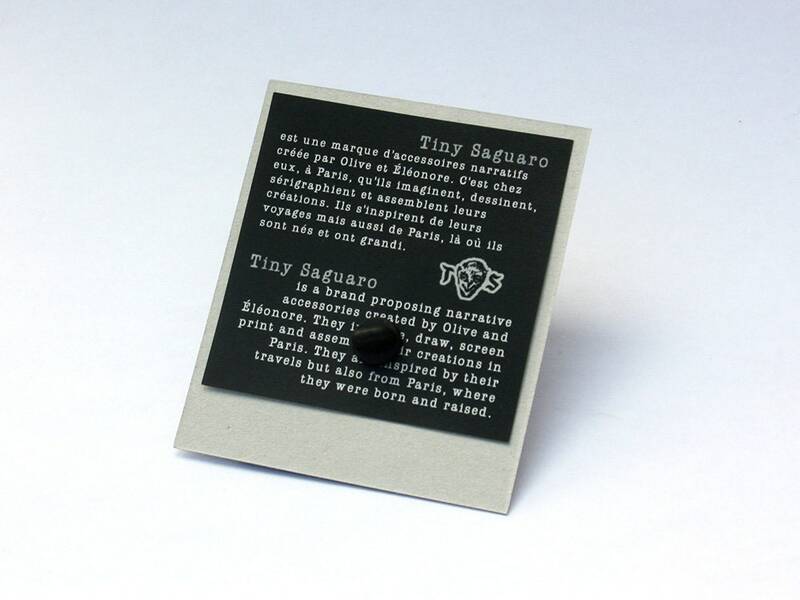 Le pins est magnifique il a été envoyé rapidement et dans un joli paquet, je recommande à 100%!